Please login or join to watch. Watch as Olympic show jumping medalist McLain Ward shows how to get the most out of walking a show jumping course. Olympic show jumping rider McLain Ward guides you through a show jumping course walk with tips for everything from remembering the course to accounting for factors that can affect your horse’s performance. To learn more about the sport of show jumping, please visit the United States Hunter Jumper Association and US Equestrian’s jumping page. Olympic rider McLain Ward, who won a team silver medal at the 2016 Rio de Janeiro Olympic Games, was introduced to riding before he could walk and has a competitive prowess that only continues to increase with age. In 1990, Ward became the youngest rider ever to win both the USET Medal Finals and the USET Talent Derby at age 14. He turned that into a legacy, winning the pair of competitions from 1990-1992. After turning pro, he quickly became the youngest rider to reach the $1 million mark in earnings in 1999, at age 24. In the early 2000s, his mounts included the famed grand prix show jumper Goldika. Ward has been a valuable member of the U.S. Olympic Show Jumping Team at the past three Olympic Games. He made his Olympic Games debut a memorable one at the 2004 Games in Athens, helping the U.S. to a team gold with legendary partner Sapphire. Two years later, the pair were on the silver medal-winning team at the 2006 FEI World Equestrian Games. At the 2008 Olympic Games in Hong Kong, Ward and Sapphire repeated their Olympic success, earning their second consecutive team gold medal. 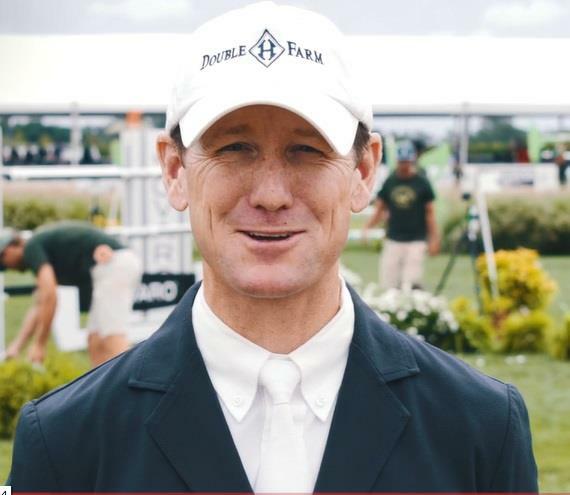 In 2014 and 2015, Ward and Rothchild were part of the U.S. Showjumping Team's bronze-medal winning efforts at the 2014 Alltech FEI World Equestrian Games and the 2015 Pan American Games. It was at the Pan American Games that Ward accomplished what had eluded him throughout his career, his first individual medal – a gold. To learn more about McLain Ward, please visit his website.